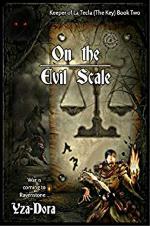 It all continues from a venture in Ireland... On the Evil Scale continues the series where Yzavela returns to Ravenstone, discovering things arent the way she hoped vampires and lycans are at each others throats, the daring and more aggressive creatures known as the Boar-wolves are kidnapping children and the threat of war arriving at Ravenstone gates. Upon these 3 events, a tragic transition takes place for the young Keeper herself a transition to save her life, becoming something far more powerful than she could ever imagine. 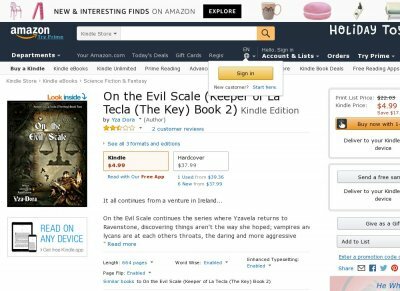 On the Evil Scale Book 2 of the Urban Fantasy, Paranormal Romance and Young Adult Keeper of La Tecla series.